See the Kehres Health grocery list and recipes. 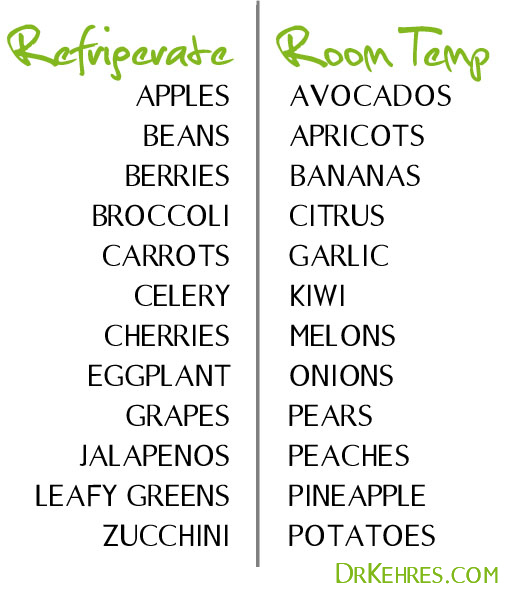 I heard it's best to store tomatoes at room temp, also. 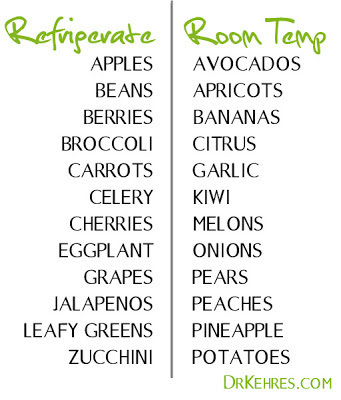 Great kitchen tips thanks for posting this post! Many supermarkets sell ripe bananas by the bag (holds about 16 bananas for $1.50). They're great for smoothies or you can peel, slice, and freeze them for non-dairy banana "ice cream" by simply putting them in a food processor til they turn to the consistency of soft serve ice cream. Thanks for the tip Fran! I'd put them in the crisper in the fridge, they tend to store better that way. Such a nice blog I like it that wanna share it too with my friends...! Keep up good work..